It's been a while since I linked up with A Blonde Ambition for Confessional Friday! My friend's husband found this sweet thing outside his work and she is looking for a home. Problem is, Travis does not want a dog! :( SOOOO, if you have any tips of convincing him to get this puppy for our family, please please PLEASE let me know!!! Isn't she so sweet?!?! 2. I am really trying hard to get excited about going back to school. I just can't do it. I am enjoying sleeping in and watching Kathie Lee and Hoda way too much. I have yet to buy anything from the teacher store (probably a good thing)!! 3. I cannot WAIT to get our king size mattress...hopefully it will be super soon! 4. 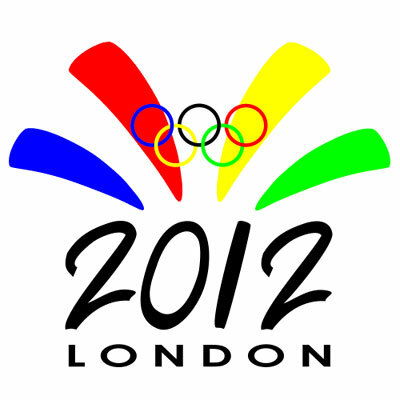 I am really, really, really excited to watch the Olympics (isn't everyone?!)!!! As a retired swimmer, its always fun to see your sport on TV instead of the same ol' football/basketball/baseball! 5. I am sick again! I have had this stupid cough for over a month... so I finally went to the doctor yesterday. She prescribed for me: STEROIDS and an inhaler. And she told me I can't run too much, especially not outside. Which is so not perfect. I'm going to be so hungry and energized from these steroids and I can't even go run it off?! This is going to be miserable!!! 6. Our house has been invaded by ants. We are having the pest guy come out to spray, but not till MONDAY. UGH. 7. I can't stop looking at our wedding pictures. Or talking about my wedding in general. 8. I may or may not have eaten out for Charlotte Restaurant Week two nights in a row this week! If you're not familiar, Restaurant Week is this amazing thing several restaurants in Charlotte do, where they give you a 3 course meal for only $30! Tuesday we went to Del Frisco's and Wednesday we went to Blue! Both were so delicious and highly recommended, although I'm not sure I can afford to eat at either outside of Restaurant Week!